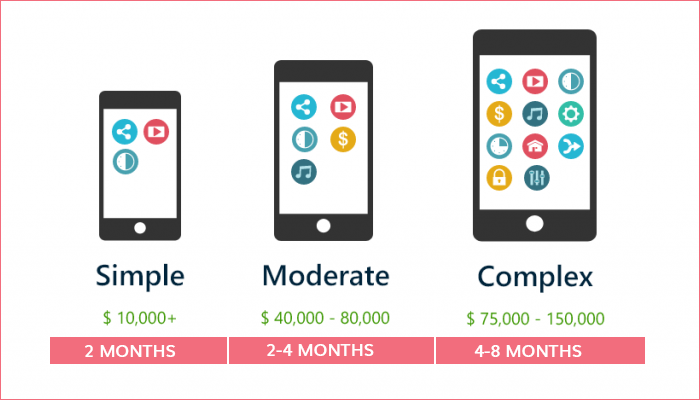 To be honest, the entire process of designing, testing and developing an app is expensive as well as complex at the same time. In addition to that, the app development process can be tiresome as it requires a timeline of a couple of months to get completed. But what if we told you that this long process can be transformed into something that's comparatively compact? 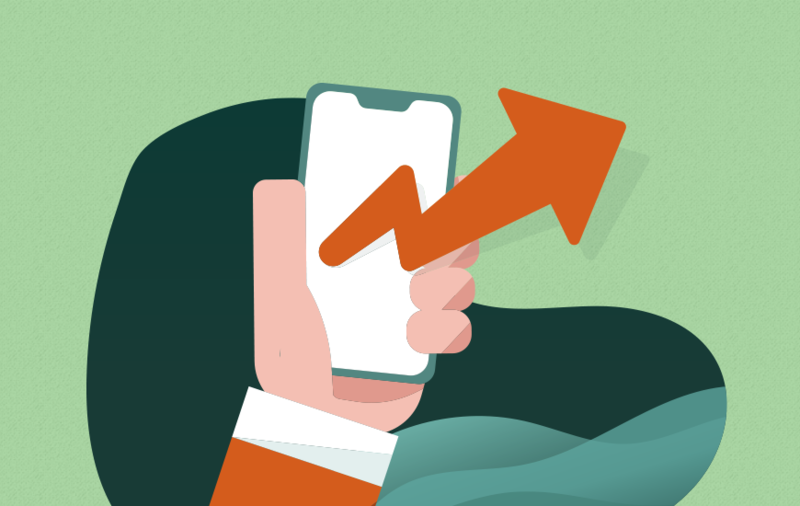 So in this article, we will be discussing how you can boost up your app development speed with the help of some of the top mobile app development tools. Along with this, we will also be throwing light on the different types of factors that contribute to the speed of the application development process. One thing you need to keep in mind before beginning your process of building an app is that the timeline of a project plays a crucial role. 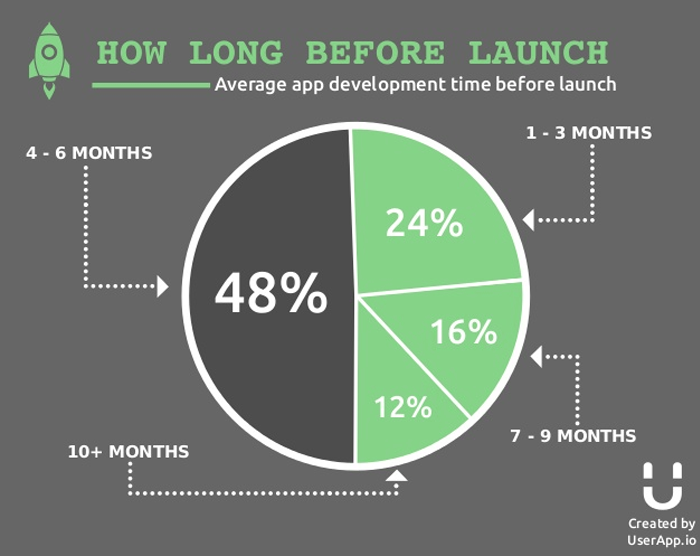 In other words, we can say that the more time an app development process, the more costly it will become. The above image will give you a basic idea of the timeline of a mobile app development project. If we look at some of the previous statistics, then we can say that on an average of four to six months are required before an application is launched in the market. The scope of the app creation process can be referred to as basically its outreach. In simple words, it can be described as the audience or group of people that you are targeting for your mobile/web application. The main aim of your app is to provide a valuable solution to the queries of your target user base. The scope of an app development project also varies in terms of size and the above-quoted statement explain this fact clearly. On an average, the mobile app file size for an iOS mobile application is around 38 MB whereas for an Android app the size is approximately half the size of the iOS apps i.e. 15 MB. These are the basic kinds of things that an app developer or app owner should know before initiating the development process for their app. To make this point more clear, let’s take an example, suppose you have decided to opt for an Android app. Now you would also have to take the compatibility test of your app with the different types of models that run on the Android OS (Operating System). This test will vary as per the different screen sizes of the Android smartphones, thus making the testing process longer than the iOS testing phase. Another factor on which the project's speed can depend is the total number of features and overall functionalities integrated into the project. This can also be concluded as the level of complexity of the app development project i.e. are the features used in the app medium or highly complex? The above image perfectly displays the three levels of mobile app complexity that start with a basic app model similar to that of an MVP (Minimum Viable Product). The app development time is also directly connected with the level of functionality you are adding in your app-building project. One thing that you can do to save some time is to include some common plugins that can be used as multi-taskers in your application by saving the installation time. And if you are looking forward to adding some customized features to your app then you should also prepare to invest more time in the development process itself. Not one, twice or thrice but many things the team of MobileAppDaily has emphasized the importance of app designing and tools related to the design of a mobile app. In many of our previous articles, we have stated that the chances of an app to rank better in the search engine results are much higher if it is well designed. Basically, a design template is nothing but some predesigned graphics that can be directly used in your app. Here, the app designer has the option to integrate the components and designing styles that they want to feature in their mobile application by the option of a simple 'copy and paste' approach for the preferred graphic design. Saves a significant amount of time as well as money. Design templates are affordable and often of high quality. Most of the templates offered are customizable in nature. It requires some time to customize design templates. It may consume users' time in finding what they need. The licensing options can be difficult to understand. A Parse Server can be defined as an open-source cloud back-end that consists of a number of extra services. Some of these services include databases, push notifications, file storage, user data management and many more. One of the best things about the parse server is that it consists of various inbuilt tools that are easy to maintain by the app programmers. Initially, the parse server creates an instance on Platform-as-a-Service i.e. PaaS which then connects the instance of parse server to the Database-as-a-Service (DaaS). Once that is done, you can now integrate your mobile application with the new instance that you have created and start utilizing the tools. It supports a huge variety of platforms which includes IoT. It has excellent documentation as well as example code. The open source community for Parse Server is highly active. Parse Server also requires a separate platform to run i.e. Heroku. The scaling options of Parse Server depend on the infrastructure. It does not provide an all-in-one option to the developers. The tool of Fastlane is supposed to help the web and mobile app developers by providing them support with automated tools as well as processes during the entire development cycle. However, the primary focus here is the continuous deployment and also the integration of the procedure. And in case, you are facing some issues with the QA team in the Quality Assurance Department, then the Fastlane tool is here to boost the process. This tool offers a basic set of functions to the user such as uploading of the application, logging in with the changes made in the app, code management and much more. Fastlane automates all the tedious tasks of the process. It tries to avoid mistakes by doing less manual work. It requires some extra effort to set up. It could lead to overkill for some developers. Fastlane may lead to some issues due to infrequent builds. The PaintCode tool is a great option when you are looking forward to generating programming code that is designed using the UI (User Interface) components such as SVG code, Java, Objective-C, Swift, C# etc.. In addition to that, the app developer can also use this code in the app directly and the desired UI components will appear on the app screen. If you are a mobile app designer who is looking for a tool to easily integrate some creative UI components in their application then we highly recommend giving PaintCode a try. Another feature that this tool has is the exporting of all your drawings to a single file, which can be later re-imported every time the other components are updated. It minimizes time consumption without going back-and-forth. It is quite a flexible and customizable tool for app development. PaintCode also supports the four major application platforms. It is not proficient with design and development of the app. Some app developers don’t prefer generated code. It offers limited support for Interface Builder-oriented workflow. So, these were some of the top tools that our mobile app development experts suggest to opt for. When it comes to designing we can say that as an app owner you should embrace the concept of MVP, create innovative designs which start from wireframes, emphasize on the native app designs, aim to follow the agile approach. We really hope that with the help of the article, you will be gaining some valuable insights regarding how to speed up the app development process and its timeline. And if you are interested in reading more such informative articles then make sure you click on that ‘Subscribe’ button to stay notified. Also, in case you have any doubt about anything related to the mobile app industry then feel free to ‘Comment’ down below and we will get back to you ASAP! How Much Does It Cost To Develop An App Like Netflix?